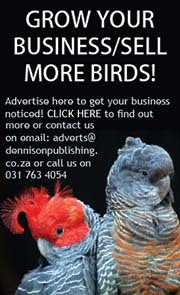 The Fishkeeper is South Africa’s only magazine for the marine and freshwater aquarium hobbyist. 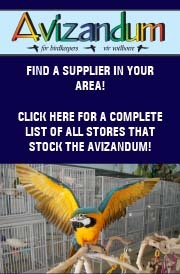 The Fishkeeper is an A4, 40 page, full-colour magazine of international standard and is available in pet stores and CNAs country wide. The Fishkeeper magazine contains articles that are up-to-the-minute with regards to the keeping and breeding of freshwater and marine fish and invertebrates. Articles in The Fishkeeper are useful to both beginner and experienced fishkeepers alike. Articles covers topics related to aquarium management, health and disease and other topics such as lighting, aquarium designs and care of plants and corals! Articles in The Fishkeeper are written by experienced keepers and breeders who share their valuable experience, allowing readers the opportunity to have the same successful results with their aquariums. 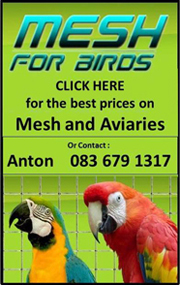 The Fishkeeper is a vital source of information for all aquarists in South Africa and the rest of the world. 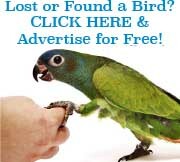 Don’t miss out, you can now subscribe to The Fishkeeper online! It costs you less, you can get The Fishkeeper before it hits the stores and have uninterrupted access to the only magazine in S.A for the marine and freshwater aquarium hobbyist! 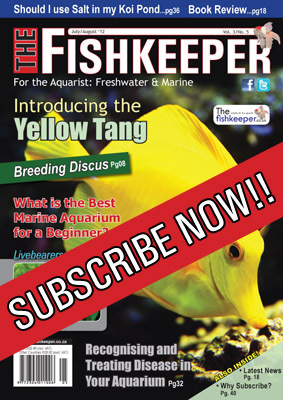 Be the first to review “Fishkeeper SUBSCRIPTION, South African incl. Postage (1 Year)” Click here to cancel reply.